This question contains 6 replies, has 4 contibutors, and was last updated by Varun Dubey 2 years, 11 months ago. BP for LD v 1.0.7 conflicts with WP 4.4.2. When it’s enabled I’m not able to change themes (theme details od add new them buttons doesn’t work, as well as some WP submenu items). 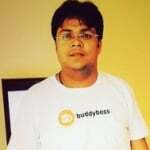 Please try to debug with deactivating Buddypress for Learndash. I have already debugged it. As I have written it happens when plugin is being enabled. Can you please unswer this ticket? Could you PM a link and login detail to the site where you experience the issue, so I can take a closer look? I’m my opinion, I agree with @jerseypeeps…. They have to improve their support…thats the reason why we pay for plugins, themes, etc…. and one of the team will be only too happy to help. The question ‘Buddypress for Learndash WordPress core conflict’ is closed to new replies.